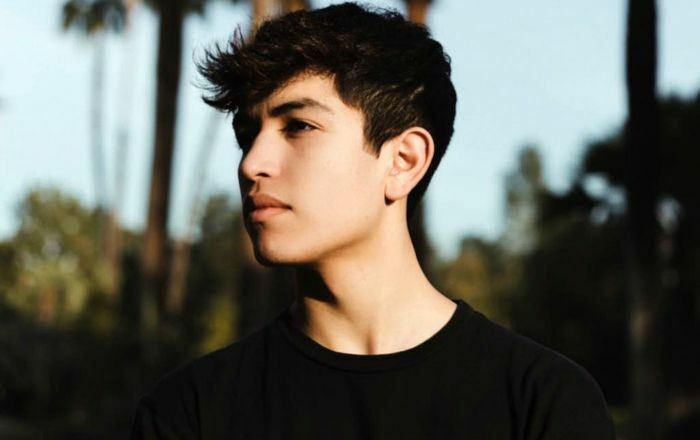 Sebastian Topete is an American internet personality known for his lip-sync videos on Tik Tok (formerly Musical.ly) and his collaborations with fellow internet stars, particularly Danielle Cohn. Both of them have lip-synced to songs by artists such as Lil Pump, Kid Cudi, and Kalin and Myles. His musical.ly account has earned more than 380,000 fans. Sebastian Topete was born on 5 December 2000, in Los Angeles, California, United States. He’s currently 18 years old. His religious belief is unknown. Sebastian Topete attended Maranatha Senior High School. Sebastian Topete is currently dating fellow internet star Danielle Cohn and they have lip-synced to many popular songs. Sebastian hasn’t appeared in any film and TV show yet. Known for posting lip-sync videos on Tik Tok (formerly Musical.ly) and having a string social media presence. Sebastian has been posting videos to his musical.ly account, ‘sebastinatopete’ since 2015. He has also collaborated with many other musical.ly stars like Baby Ariel. He created his self-titled YouTube channel in 2015 and his first video was a day out vlog. Sebastian Topete is an avid baseball fan and enjoys both playing and watching the sport. He started playing baseball when he was just five years old. Sebastian is a pet lover and owns a puffy poodle named Mortis.